You’re about the sanest nation there is. I think America has become such an extroverted culture, so you feel a little pale by comparison. I want to say, no, no, you’re the normal ones.… What I like about Canadians is that I’ve never heard a Canadian who thought anything about Canada was exceptional. It’s why you’re deliciously sane. As I encourage a return to the pursuit of good work and the abandonment of trying to be great I feel a little saner today. Things don’t always need to be exceptional in our country or at work — good can be good enough. To read my recent rant in favor of good work, click here. What was one good thing you did at work today? 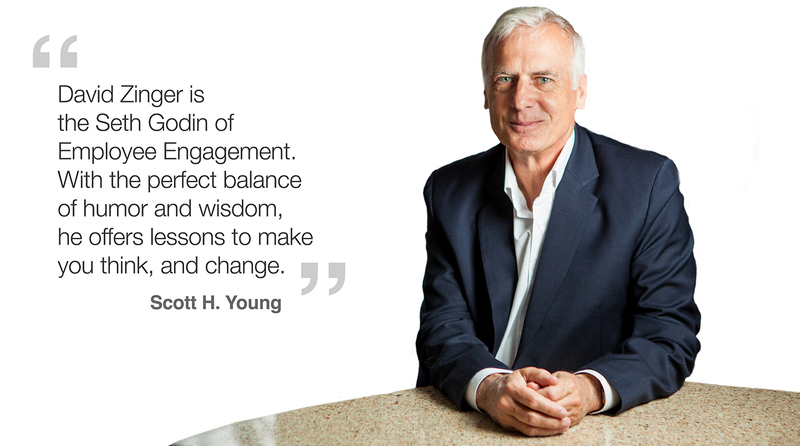 David Zinger is a Canadian employee engagement speaker and expert who is encouraging organizations and employees to make their engagement efforts small, simple, strong, significant and sustainable.